Romania is a popular destination for dental travel abroad and it has become so thanks to the expertise of our dentists and the low costs for dental procedures. At our dental clinic, you have a wide range of services to choose from and the low costs are not related to the quality of the treatment: in Bucharest, you can benefit from affordable and quality dental treatments at lower costs than in other European capitals. 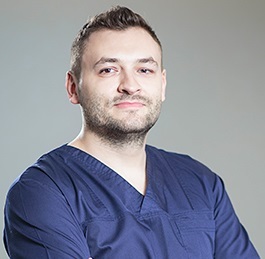 Romania has very affordable costs for popular dental treatments and even for those that involve more restorative work or complicated procedures. Our dentists in Bucharest can help you with various types of dental procedures: from veneers to crowns or dental implants. Patients who want the simplest way of achieving a more beautiful smile can visit us for a teeth whitening procedure. In Romania, the starting price for a dental crown is 320 euros for a quality ceramic one. Patients also have other options when choosing the materials for their dental crowns. Teeth whitening is also affordable in Bucharest, compared to Copenhagen. At our dental clinic, the price is 230 euros while in Denmark the starting price for this procedure is over 340 euros. 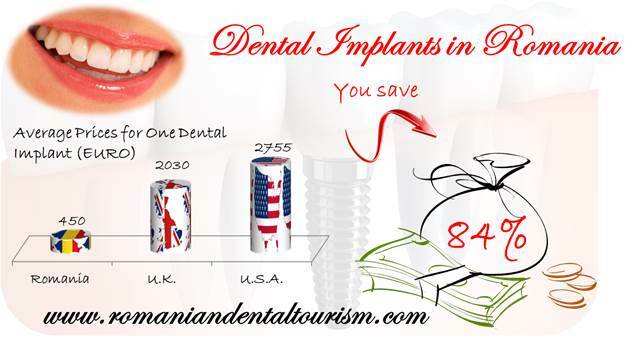 Dental implants in Denmark are also more expensive compared to those in Romania: their starting price is approximately 600 euros at a dental clinic in Copenhagen. Romania is a beautiful country that is often too less explored by those who come for dental treatments abroad. You can start planning your dental trip to Romania by asking our dentist how long the required treatment will take. Once you know how many days you will be in the country you can plan sightseeing in Bucharest or visit some famous sights in the country like the Bran Castle or the Transfagarasan road. Accommodation and transportation are both very affordable in Romania and you will enjoy the hospitality of our locals as well as good, hearty traditional food. If you have enough time to spend in the country you can plan a lengthier trip during which you can visit our beautiful mountains or one of our famous medieval cities like Sibiu or Sighisoara. Compared to Copenhagen, Bucharest is a capital city that is less expensive. In Bucharest, a meal and drinks at a restaurant will be affordable for all Danish patients: the average price for a three-course meal at a mid-level restaurant is around 23 euros, compared to approximately 80 euros for the same type of restaurant meal in Copenhagen. 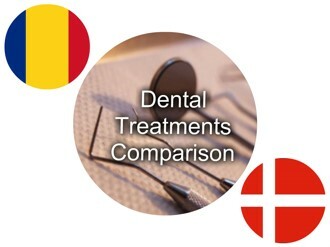 If you are a dental patient from Denmark and need more information about the costs for your dental treatment or how to travel to our clinic, please do not hesitate to contact our dentists in Bucharest.